If you wanted to survey the state of Indigenous art today in all its richness and variety, then a jetset snapshot national tour at the beginning of August would give you as complete a picture as you're ever likely to get. You'd have to start in Cairns for its Indigenous Art Fair on the 1st August, swing down to Alice for the exhibition that's just opened celebrating 25 years of the wonderful Desert Mob show, speed up the Stuart Highway to Darwin for the NATSIAAs ceremonial opening on the 7th August, and then wind up in Perth for its rich biennial Indigenous Art Awards that will have opened on 3rd July. So – two generous awards, one artfair that concentrates on Queensland and Torres Strait Islander art, and one 93-work survey of desert art-making from 1992 to the present – which precedes this year's Desert Mob show (and accompanying symposium) opening on 3rd September which will completely fill the Araluen Art Centre between the two of them. 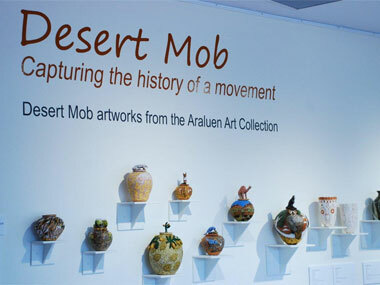 “Desert Mob continues to be the only event in Australia that offers a snapshot of what is currently happening in contemporary art from Aboriginal owned art centres across Central Australia, a distance spanning over a million square kilometres and the birthplace of the modern Aboriginal art movement”. That's how curator Stephen Williamson at Araluen touts his silver jubilee event. Interestingly, he also points out that the early years were largely craft-work surveys from as few as 13 art centres. 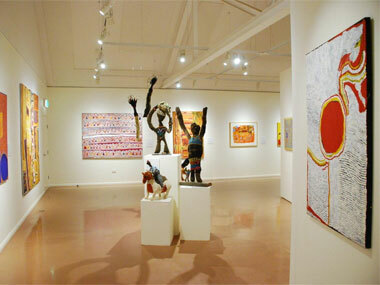 Painting sprung to life in 1996 and as many as 35 centres contribute their hottest talents today. How are our state institutions backing up this snapshot? Probably the most diligent is the WA Gallery, in the process of re-making itself under Director Stefano Carboni. As well as the on-going Desert River Sea project to document the wealth of Kimberley art online and train future generations of its facilitators, they've a challengingly titled show called 'Resistance' opening in November. It will “reflect on times of enormous political upheaval” and “contest spaces (through art) previously occupied by the dominant European story”. That'll go down well with the 'white blindfold' historians! Equally interesting – though lumbered with a mystifying title - is 'Indigenous Art: Moving backwards into the future' at the NGV in Melbourne. “This is an interdisciplinary exhibition that features more than 100 of the finest Aboriginal and Torres Strait Islander works from the NGV collection....reflecting different elements of Indigenous art history and culture from the early nineteenth century to now and exploring the evolution and status of Indigenous art within the context of contemporary world art. Central to the exhibition is the idea that Indigenous visual culture – the world’s longest continuing art tradition – is not a fossilised expression of an unchanging society but like the concept of the Dreaming is meta-temporal, that is, it incorporates the past, present and future into a complete and present reality. Moreover, Indigenous art is an aesthetic experience, a courier of visual culture, a seductive and eloquent articulation of identity, time and place”. Where do curators learn their English, I wonder? Nevertheless, the show opens 4th April and runs until 16th August – so could just complete your whistle-stop tour. Up in Briso, their 'Terrain', reflecting on Country, continues into September at QAGoMA and the more locally specific 'Island Currents' exhibition, reflecting on FNQ and Torres Strait Islander art opens on 4th October. 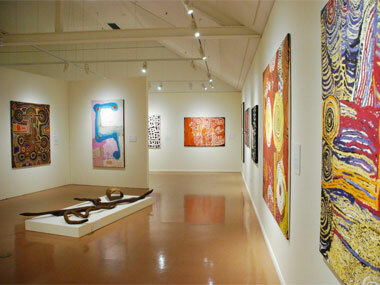 That only leaves the under-performing Art Gallery of NSW where the potential of a solo show for Ronnie Tjampitjinpa, one of the earliest Papunya artists still painting today is limited slightly by having to share the basement Yiribana Gallery with the existing exhibition of watery canvases and barks. The almost 75 year old Tjampitjinpa has been showing continuously since his debut in 1974 at – would you believe - The Anvil Gallery in Albury. While the institutional show opens 4th April, a commercial solo at Sydney's Utopia Gallery precedes that by a week. News Categories: Art Fair | Art Prize | Australia | Blog | Conference | Event | Exhibition | Feature | Industry | News | What's on?